She first heard about NSLI-Y as a junior through a classmate at her high school who had participated in NSLI-Y. “I was drawn to NSLI-Y because of how immersive it is.” When she visited the website and looked over the languages offered, her eyes settled on Persian. She had never considered studying Persian before, so she began to research Tajikistan and the Tajiki dialect to learn more. She learned that Tajiki was a form of Persian that used the Cyrillic alphabet and that the culture had been influenced by many countries throughout its history, including Russia. She saw Tajikistan as an exciting combination of her interests and uncharted territory for her. She applied for the summer 2016 program and was accepted. 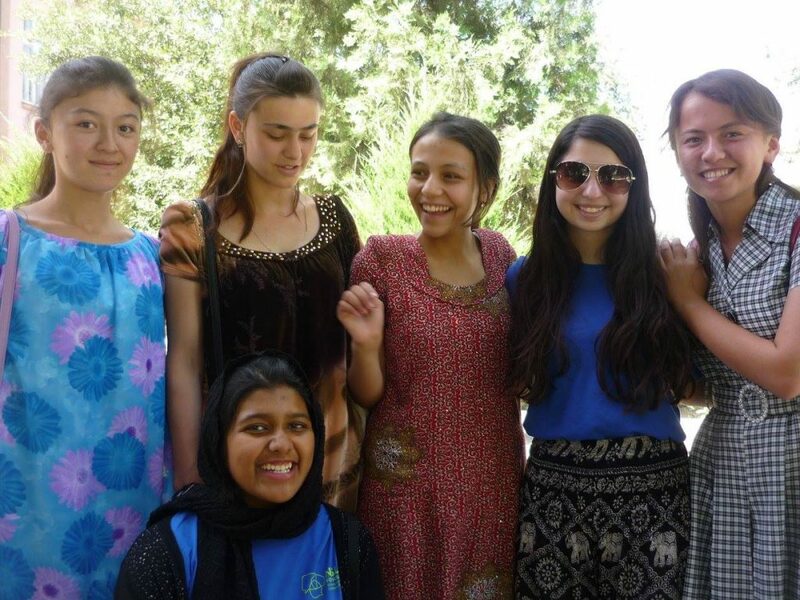 Before traveling to Tajikistan, Mayesha felt somewhat nervous about what it would be like. Upon arriving, she found that she felt safe and was overwhelmed by the natural beauty of Tajikistan with its mountains, lakes, and rivers. 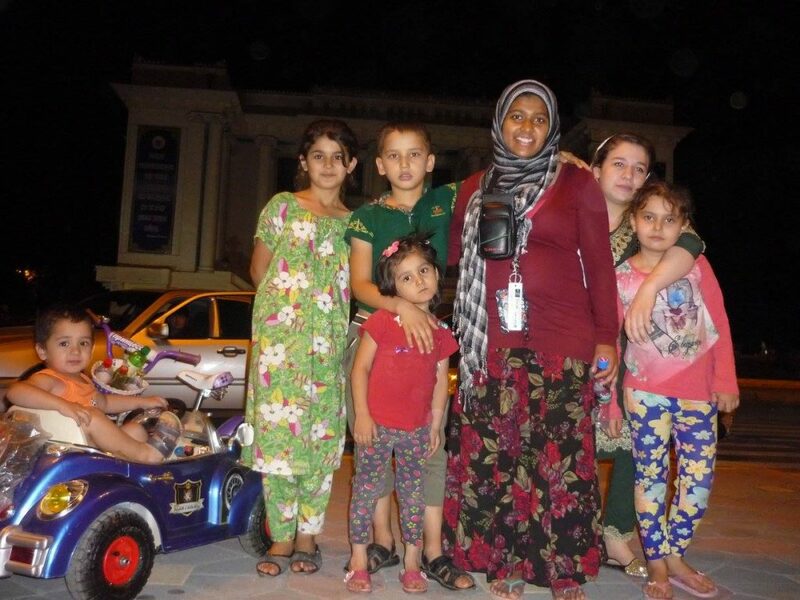 Her host family was kind and she easily made friends with her fellow participants and locals. She experienced some unexpected difficulties, though. Because of her time in Bangladesh, Mayesha was confident she would not become sick in Tajikistan; however, she became ill early on due to the new food and environment. It took time to adjust. During her illness, her resident director and host family were very helpful and made sure she was able to rest and recover. As a Muslim, she also fasted during Ramadan while in Tajikistan. This was at times difficult because of the climate of Tajikistan and her busy schedule. To make the situation a little easier, she would drink lots of water before dawn to hydrate for the day, and she would eat a good meal after sunset. She discussed the need to communicate how she was feeling while fasting with her resident director. She agreed that if she began to feel ill, she would let the resident director know and break her fast for that day. Learning the language was also hard work, but the immersion environment made a big difference for Mayesha. Language class involved lessons and practice on reading, writing, and speaking. She reported that diligence in class and with her homework helped her improve her reading and writing proficiency. Speaking the language with her host family also provided lots of practice. They were always eager to answer her questions and provide feedback. She would also use flash cards and practice writing words and phrases to develop her vocabulary. Mayesha’s host family consisted of a grandmother, a mother, a father and an aunt. As they did not speak English, they communicated completely in Tajiki. She had an especially close relationship with her host grandmother. She had long chats with Mayesha, helped her with her language practice, and helped her memorize stories and poems. Her host aunt took her on walks in the evenings to meet neighbors and friends and to see the city. They visited the local bazaar and walked to a plaza with fountains where people and musicians would congregate. She was surprised to discover Dushanbe’s impressive architecture and heritage with its many temples, mosques and libraries. Her time with her host family and local community gave her meaningful exposure to the culture and daily life. While her host family already knew much about the U.S. from hosting American students several times, Mayesha was able to educate them about Indiana and her hometown. She was also able to influence Tajiki people’s concept of what an American is. Because she is of Bangladeshi heritage, many didn’t believe she was American. She was able to help them understand that the U.S. is very diverse. 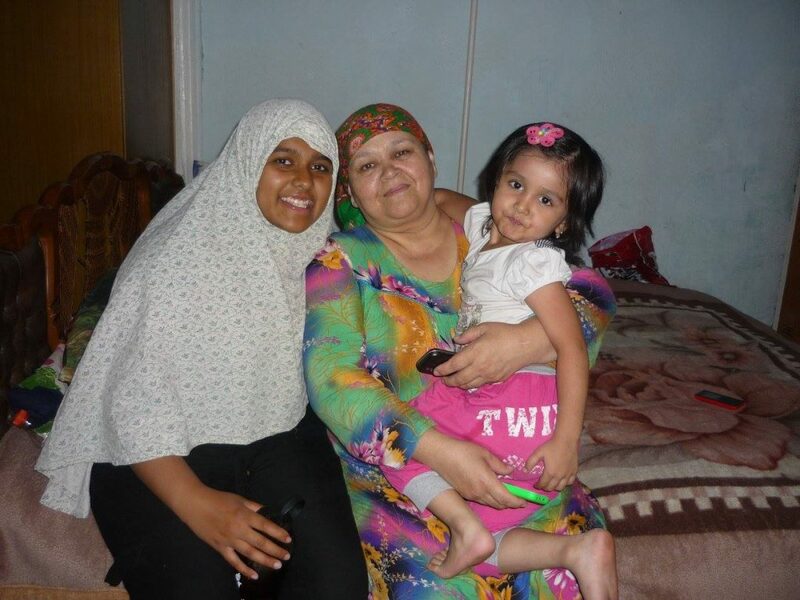 Since returning to the U.S., Mayesha stays in touch with her host family through an app and through email. This communication allows her to maintain her cherished relationships with her family and to continue to practice her Tajiki. She also keeps in touch with her fellow NSLI-Y participants and they practice Tajiki together. She uses the language materials she received on NSLI-Y to continue to study and practice as well. She plans to continue studying Persian in college next year and hopes to return to Tajikistan soon to reconnect with her host family and friends. Mayesha recently participated in a NSLI-Y Interactive Virtual Event titled “A Day in the Life in Tajikistan” on September 26, 2016. You can view the recording of the event here.